Harness Technology. Embrace Tradition. Ignite Passion. Webdrop Studio is powered by a cohesive team of experienced professionals who are driven to provide YOU with top quality service every step of the way. We provide Internet solutions through strategic consulting, stunning graphics, dynamic web design, cutting-edge content strategy, and customer-focused web application development. The full integration of these services under one roof will help YOU transform your small businesses into a powerful eBusiness! 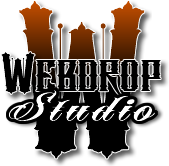 The experts at Webdrop Studio are instrumental to our success. Webdroppers have developed and deployed web applications and marketing campaigns for Microsoft, Symantec, McAfee, Borland, ACT!, Sybex, as well as many smaller businesses. We provide enterprise-level services to any business anywhere in the world. We deliver customer service applications that greatly expand a small business’ ability to provide your customers with information and services 24 hours a day.